I’ve always found it easiest to analogize concepts into more commonly understood concepts. I’ve been explaining what each component inside of a computer does and how it fits in to the overall performance and general workings of a computer for over a decade now. Comparing computer components to the components of a workshop always comes easy and I find that most people thoroughly understand it after my explanation. Disclaimer: This is not a guide that will leave the reader having a full understanding of advance aspects of computer construction. It is aimed to those that do not know what a CPU, RAM or Hard Drive is or what those components do. Hopefully these explanations and breakdowns will help you whenever you go shopping for your next computer. If you found this turned on a lightbulb in your head, please share. I’m sure many people will benefit from this article! Front and back of a typical CPU chip. Let’s start right at the core. 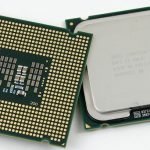 The CPU or processor. It’s where the vast majority of calculations and such are run within the computer. They go up in speed, rated in Gigahertz (GHz) and in number of cores. The easiest way to compare the CPU to the workshop would be the workers in the workshop. More CPU cores means more workers so visualize a CPU with 4 cores as 4 workers in the workshop. Having four workers means there is an increase in productivity in most cases. However, there are tasks that only a single worker can work on while the others sit idle because a second worker on that task won’t help. This is just like a CPU! Now, the speed of a CPU equates to the speed each worker in the workshop works. It’s pretty simple. A CPU with a higher GHz rating is like a worker that works faster on tasks in the workshop. A faster worker means he can get more work done than a slower worker in the same amount of time. Typical RAM chip found in a desktop computer. 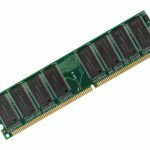 RAM, or Random Access Memory, can easily be equated to a workbench in a workshop or a desk. RAM is typically rated in Gigabytes (GB). Tasks or projects that a worker (CPU) is currently assigned to complete are stored temporarily on the desk or workbench. More RAM, or a larger workbench means that the worker has more space to work on that project with. If the workbench is too small, the worker will have to put the most active parts of the project on the desk and put less active parts of the project elsewhere, which slows down the progress. A larger workbench means the worker can put most or all of his project on the workbench, which will speed things up. But if the project only needs 4 feet of workbench and the workbench is 8 feet in size, then those extra 4 feet of workbench won’t really benefit us. HDD on the left, SSD on the right. Hard drive space is typically rated in Gigabytes or Terabytes (GB or TB). They come in two types, Hard Disk Drives (HDD) or Solid State Disks (SSD). HDD’s are older technology but still very valid and very affordable. They use a spinning disk, like a record, to store data. They currently can hold a lot more data than SSDs but are much slower. SSDs are faster but don’t hold as much data (yet). They utilize solid-state memory, that doesn’t move. SSDs are more like a warehouse where data is stored wherever it is needed and the location of where it is stored is recorded in a giant table to make it fast and easy to access. A hard drive is kind of like the size of the warehouse attached to a workshop that is used to store things. A larger warehouse means that more building materials, finished projects and tools can be stored. While a small warehouse will require you to move things in and out as needed (installing/uninstalling software and saving data to other locations such as burning it to a DVD or use of an external hard drive) an oversized warehouse may not help. 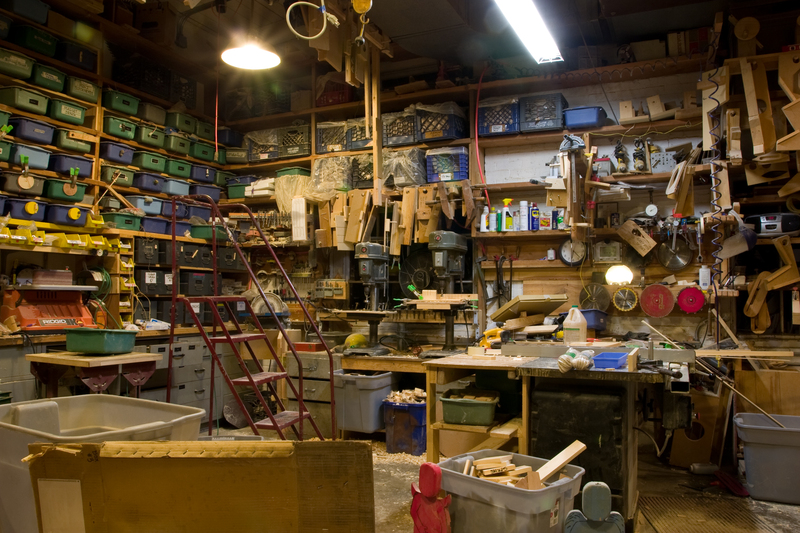 If you only require 500 square feet to store all of the tools and projects and building materials that you need but you have 1500 square feet, then 1000 of those feet are potentially going to waste. Although that is 1000 feet to expand into. There are many other components inside of a computer. CD and DVD drives, Graphics or Video Cards, Sound Cards and many more. They are beyond the scope of this article, however. Although if you read this and still have questions, please feel free to post them in comments or in our forum!